The All Koch-Rajbongshi Students’ Union (AKRSU) on Sunday alleged that the saffron party is playing the same card as that of previous Congress government in resolving the issues plaguing the community. “How long will the government betray the Koch-Rajbongshi community, asked AKRSU vice president Dibyajyoti Kumar Deka. 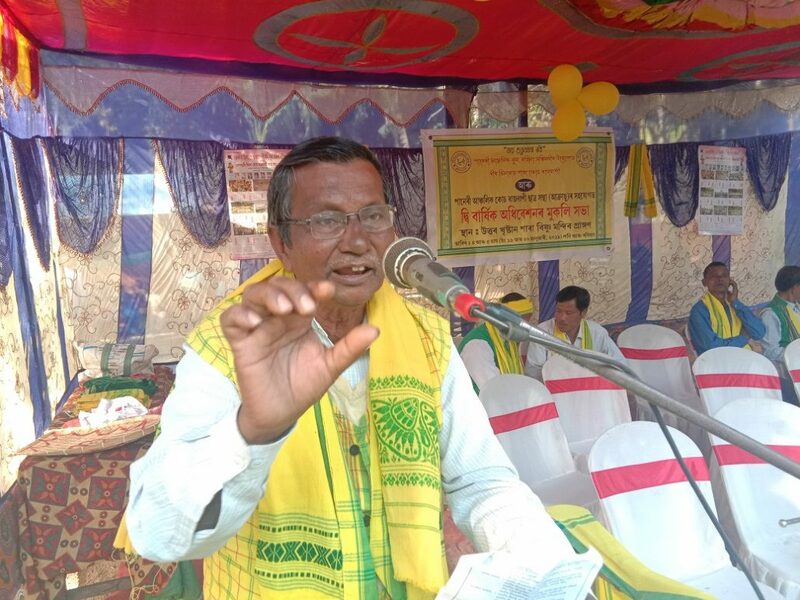 Speaking as appointed speaker on the open session of the biennial conference of All Koch Rajbongshi Mahila Sanmiani(AKMS), Paneri unit at Christianpara in Udalguri district of Assam on Sunday, he criticized the government for making false promises regarding fulfillment of their demands within six months from coming into power. The student leader raising the tempo of 2019 Parliamentary election said that the ploy of granting ST status to six communities is another lolipop of the government for gaining political mileage in polls. The session chaired by Hemaswar Deka and was inaugurated by Shivaram Deka. President of Axom Sahitya Sabha Udalguri Chapter, Taranath Kalita; President of AKRSU Udalguri(West), Hemanta Bora Koch among others were also present on the occasion.